"The Quickest, and most Fun way to Make Quilts - Created just for Beginners"
The Easiest Video Tutorials for Gorgeous Quilts. 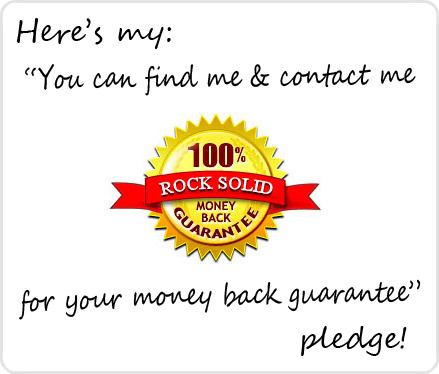 We Guarantee. 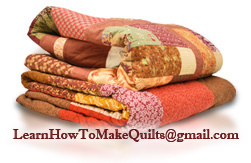 Want to make quilts for yourself or someone you love? 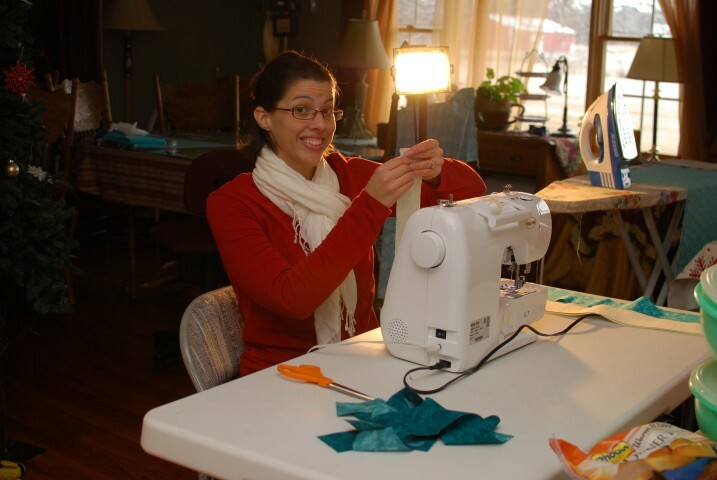 Hi, my name is Martha (Penner) Novacek, If you are looking for a fulfilling de-stressing hobby, yet totally cost efficient, then my easy simple 7 step instructional quilting course may be just what you are looking for. 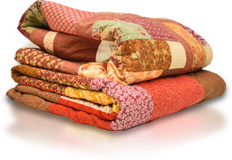 Your family and friends will cherish YOUR handmade, homemade quilts for many years to come. I grew up quilting and almost 30 years later I still have a passion for it! Coming from a German Mennonite heritage, the women in my culture all learned to sew and quilt at a young age as a way of life. However, I've set up the instructional videos so anyone at any age can do it! Hi Martha, I thought you would like to see my first attempt at a quilt, using your guidance. It is a present for my daughter's 21st. ...I am delighted, your instructions were so easy to follow and you gave me some good tips - especially chain sewing the squares & making the triangles. In that culture we were very frugal. I teach you how to use what you have and get by with the simplest of supplies. A while back, I made a twin size quilt from scraps in a box my sister picked up by the street curb for free. My husband thinks it's not the most eye pleasing quilt, but when I told him why I cherish the quilt and enjoy looking at it, he looked at it differently too. I cherish it so much because every time I look at it, I feel the satisfaction of having taken fabric that was junk to someone else, and I made a cherished quilt, and very useful blanket! Learn in the comforts and privacy of your own home, or even when traveling. 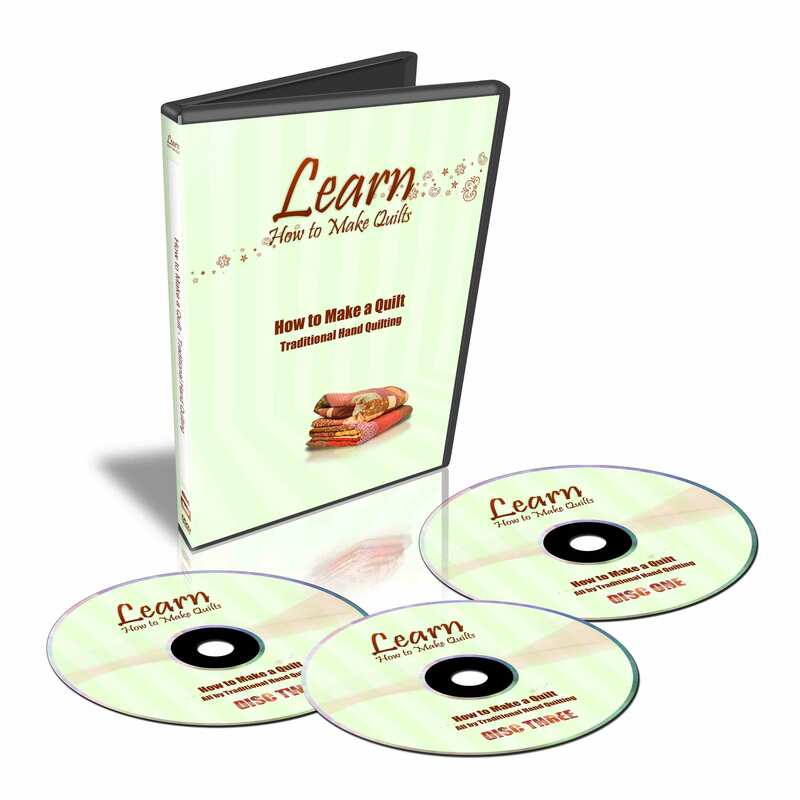 Go at your own pace watching videos, which is much easier than trying to learn from an e-book. Forget about sifting through countless YouTube videos, or dealing with frustrating advertisments. Enjoy commercial free quilting! 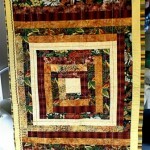 Rest assured you are learning from an experienced quilter. 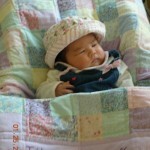 Making quilts has been my business for the last 10+ years as Custom Care Quilts, both locally and online. How to Make a Quilt - All by Machine! In my step-by-step video tutorials, I'll take you from start to finish on a quilt from how to choose your fabrics, to prewash or not to prewash, to cutting, to putting your blocks together, to putting your layers together, to attaching the binding. All on one quilt. All my tutorials are well lighted, and well demonstrated, and throughly explained. Most important steps are repeated twice and shot from a different video camera perspective, just in case you didn't see it clearly the first time. ONLINE: Available online anytime, anywhere you have access to a computer. ONLINE: Our Amazon S3 server allows fast streaming from anwhere in the world. ONLINE: Start watching and learning immediately. One whole year - Money back guarantee! Doubtful you can learn from my instruction? Don't think you can do it? 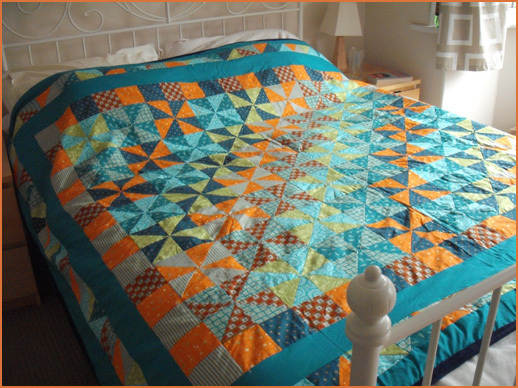 Just ask Jayel, a 13 year old whose already made 4 quilts using my course! She's given some of them away as gifts for babies and the mothers are just flattered by what she's made for them! Instead of paying $75 for a scheduled class at your local quilting shop, learn to quilt at your leisure in the comforts of your own home. We all easily forget things and what we learn in a class, we eventually may forget if we don't implement it right away. With my video course you'll be able to review as many times as you like with the very affordable, one-time payment for a life-time, ONLINE membership. 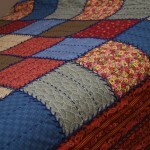 When you get home from a hectic, stressful day at work, relax, start quilting and feel the stress of the day disappear. 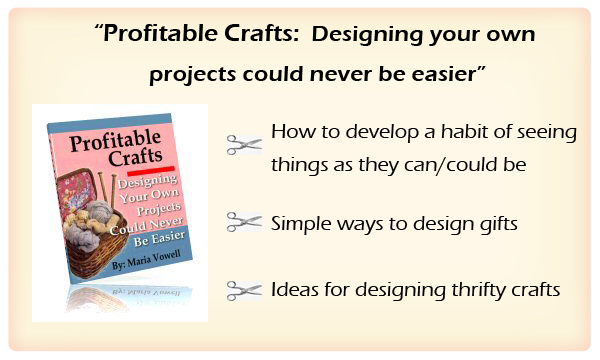 Want a way to relax and yet feel accomplished and creative? Tired of the pressures? 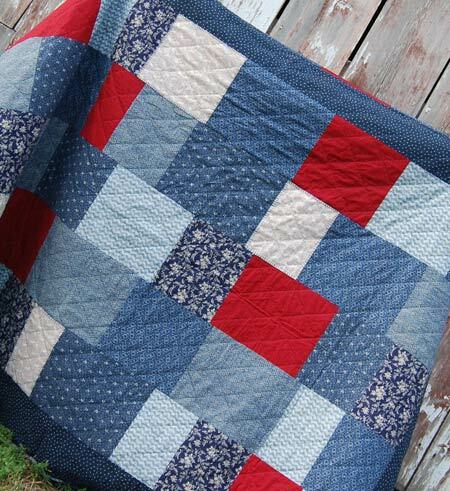 Relieve stress, start creating your own keepsake quilts! New to quilting? 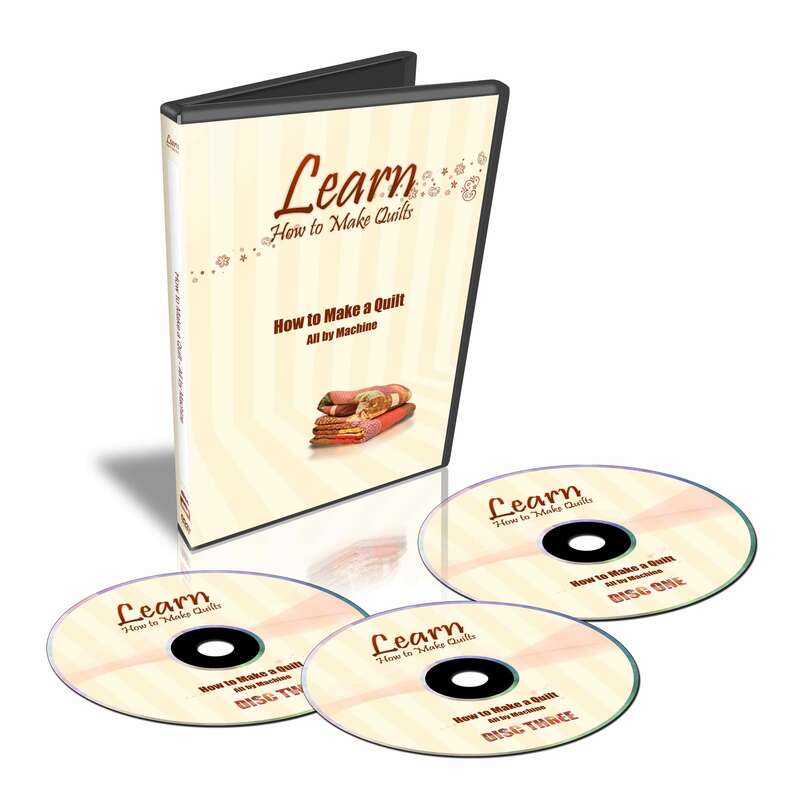 Pick up a new skill with my Easy, detailed course with the beginner in mind. 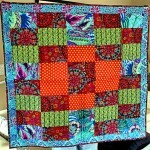 You will gain confidence and understanding you need to jump start your quilting. Most Steps are Repeated Twice! There are lots of close ups, and most steps are repeated twice, so if you didn't get it the first time, you will usually see it demonstrated again. Each step is CLEAR, saving you from any frustration or uncertainty, ambiguity, or confusion. You will be able to spend more time actually quilting than trying to understand. Many steps are also videoed from different perspectives, from the front, the side, or even from the bottom, to accelerate your learning. So you comprehend quicker. Do You Give Gifts Anyone Can Give? What about making home-made, unique gifts? 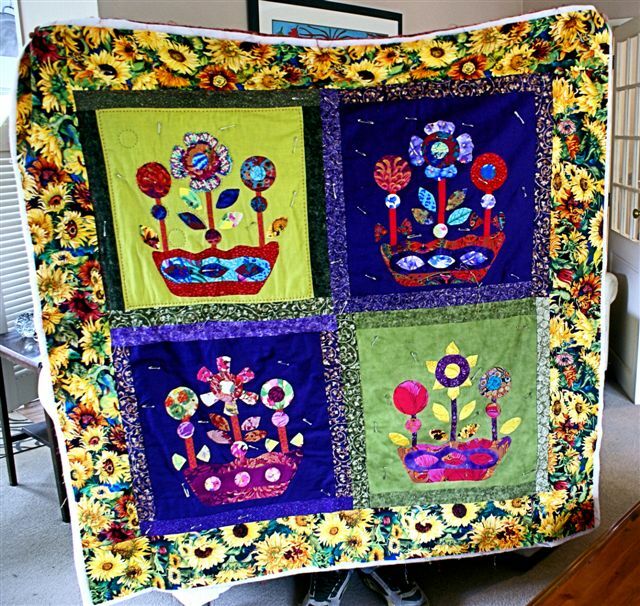 You'll enjoy the pleasure of seeing your quilt you gave your niece or grandchild becoming their most treasured possession. 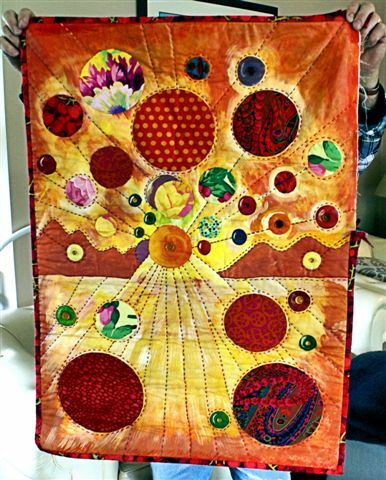 Enjoy the "ooh's" and "aah's" from your new quilting talent. At bridal or baby showers, get the most excitement and exclamations from your personalized quilt. Be remembered for your loving, hand-made gifts. 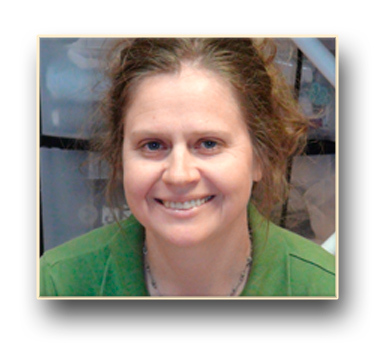 Hi Martha, I live in New Zealand and purchased your online quilting program a few months ago. 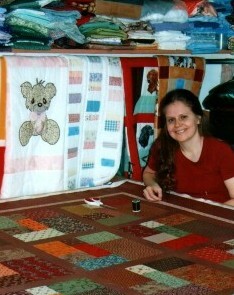 I had just started quilting and did not know a thing about it. 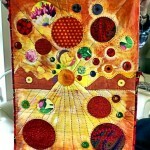 I have always been a sewer, needle pointer, scrapbooker and I paint as well but quilting was new. After looking at books and talking to others I was nearly put off the whole idea until I came across your class. I found your approach and instructions amazing and particularly liked your "don't worry if it is not perfect approach very refreshing". I have since made five small quilts including two from your class and I am now starting on needle turn applique. I would like to thank you most sincerely for your help in letting me know that it is ok to follow your heart when quilting. 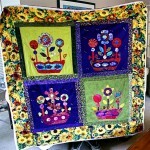 ...here are the photos of the quilts. As you can see most of them are still being quilted or bound.The little one with the round balls is an attempt at an art quilt, I painted the background. I am not sure that I like the paint with the cloth but it was an experiment. As you can see I like colour and my hand quilting is more like sashiko. 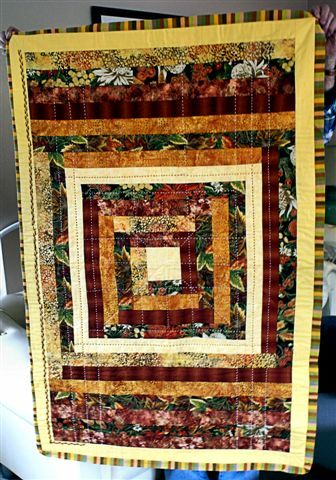 The quilt with all the flower baskets is my needle turn quilt and it is my favourite. You will probably laugh at my method of putting all the tops together then having a heap of hand sewing but I do the hand sewing in my lap when I am watching TV at night. Your class was the beginning of all this and even though I have developed a funny way of quilting I am having a wonderful time. 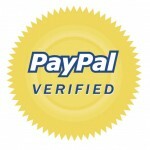 Thank you again and I will be checking in at your website frequently. 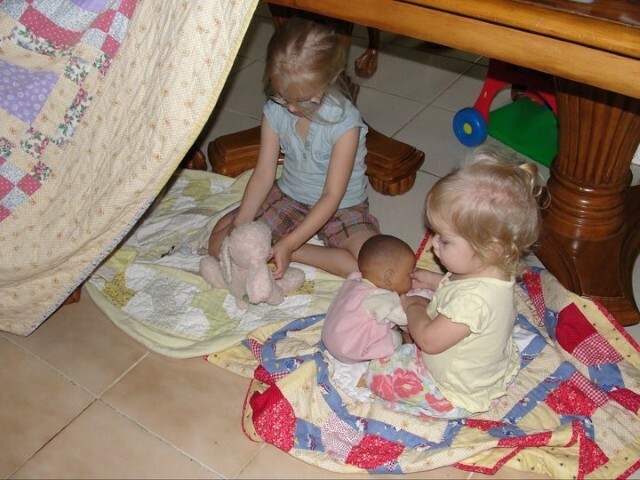 I gave a baby quilt to my niece when she was about one year old, and till this day, as a five year old, she plays with that quilt with her dolls and cuddles with it as with a teddy bear, and takes it wherever she goes. How special I feel that something I made for her has become such a prized possession to her! Who made this quilt for you? "Aunty Marta". Other gifts might lose importance or they'll forget who gave what, but your handmade quilt will always be special and they won't forget who made it. Recently I was in a clinic waiting and working on an appliquéd quilt block to go in a quilt for my niece, and a lady struck up a conversation with me, saying that when her son grew up, she got rid of all his baby items, except for all the handmade items. She kept and treasured what was handmade. Another quilting friend of mine told me of how some ladies at her church had made a quilt for a friend who was dying of cancer. While making the quilt, they prayed a lot for their friend and all her family. Their friend past away before they finished the quilt, so after they completed the quilt, they presented it to their friend's husband and told him about all their prayers while making the quilt. The husband was very much cherished and later declared that whenever he would feel lonely and really miss his wife, he would wrap himself in this quilt and just feel comforted and surrounded by the love and prayers of these women who had made the quilt. 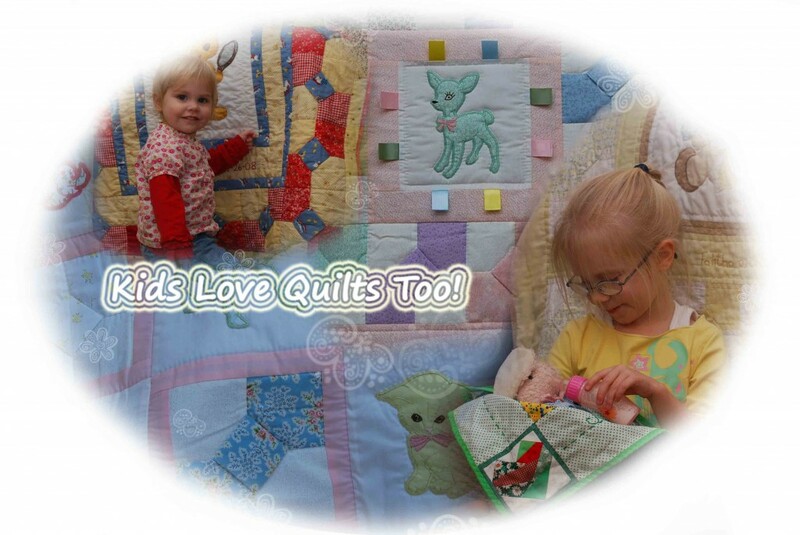 Send your love and lots of hugs in the form of a quilt made with loving care for your family who lives far from you. We are Confident You Will Enjoy Our Instruction We offer a one (1) year full money back, no hassle, satisfaction guarantee. It's the best we've seen. You have nothing to lose! Nothing to send back! No shipping fees! If over the course of a year, your not satisfied, let us know and we'll get you your money back. We want you to be totally confident in your purchase. I have been satisfying customers locally and across the nation with my local quilting business for over 10 years. My satisfaction is making sure my customers are happy and get more than they expect. If your not satisfied with my course, simply let me know and we'll refund your money. We hate scammers just like you do, and don't like to waste our hard earned money. That's why I put my name and reputation behind my product. 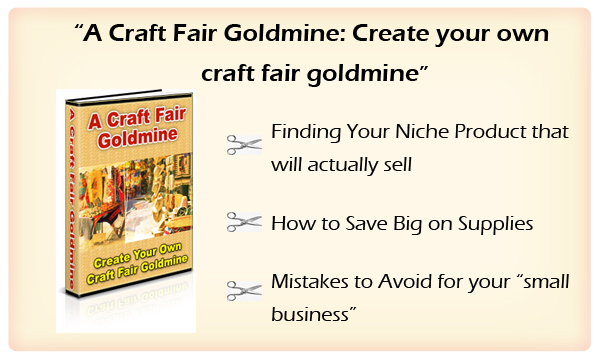 Your getting the best course and best guarantee you can find. It was and even is somewhat today, but it's fast "coming back" into fashion again. Making something with our hands makes us feel accomplished and useful. Plus, we are leaving a legacy of quilting, and heirlooms that will be treasured for years to come. You don't need expensive, digital read-out sewing machines, long arms, etc.. You just need some basic supplies and you're ready to get started! Forget the expensive high-tech sewing gadgets because they are only going to confuse you! Stick to the basics first, starting out frugally… And, later on you can think about the expensive toys! My 36 stitch-by-stitch video tutorials are short, clear, and easy to follow, even for beginners. Who really wants to learn hard stuff from a book anymore? Or a .pdf E-book? We don't. 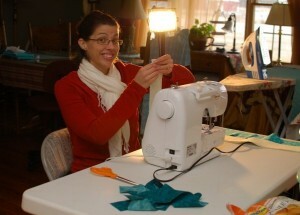 That's why we created an online video course to visually walk you through the quilt making process. There's no guess work when we guide you through each new step that you encounter. Video is THE fastest way to learn, simply "watch and follow", over and over again, until you understand it for yourself. As a bonus, to add extra value --I'm including another video series! It covers How to make a quilt from start to finish especially focusing on completing the quilt top and binding by traditional hand quilting! In the Traditional Hand quilting set, I take you from start to finish on a second quilt, using hand quilting for your quilt top and binding. In this ONLINE series, also the equivelent of 3 high quality DVD's, you'll learn how to hand quilt your stitches just like the old days. This is the way I finish 99% of all the quilts for my customers. It's because almost every one wants to have at least one of their quilt tops stitched by hand. Or, often their mom or grandmother had pieced all the quilt blocks together by hand stitches, and now they want the quilt top and layers hand quilted together too. We won't go as far as grandmother did in piecing all the blocks together by hand, we will do that by machine. :) But, we will complete the top and attach the binding by hand. This quilt from start to finish focuses on completing the quilt top and binding by tying and embroidery stitching! In How to Make a Quilt - Tying and Embroidery Stitching, we go from the very beginning with prewashing your fabrics all the way to the final stitches with embroidery thread. My video tutorials are high quality, so you can watch them full screen. That's why they are the equivelant of three DVD's worth of material. We are working at getting the videos ready for DVD production, and they will be offered at $77. However, until that time, you can get this tutorial set also as a bonus. quilt patterns 2,3,4 and more! 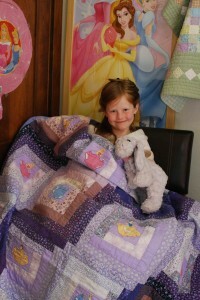 Easy Stitch-by-Stitch Instructions for making lots of designs!" 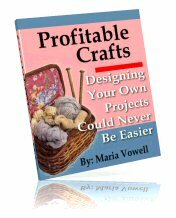 "Bonus Set #1: How to Make a Quilt: Traditional Hand Quilting"
"Bonus set #2: How to Make a Quilt: Tying and Embrodiery Stitching"
"Profitable Crafts: Designing your own projects could never be easier"